Continuing in my quest of useless stuff, here is GCC 2.5.8 for EMX as a native Win32 executable set. With some weirdness of inline not being recognized, I just commented that out. The GCC driver program does have some issues though, and Im just not in the mood to fully figure out why either the EMX or MS-DOS versions can’t correctly capture return codes, or if it was better to just use -pipe and _pipe with _O_TEXT mode set, but again how to figure out if the pipe closed cleanly or with errors? So for now it’ll always assume everything worked, but it will still print errors. Sigh. With that said, the CC1, CC1OBJ, CC1PLUS drivers all built, so you can use C, ObjectiveC, and C++. yay. The functional version of this is EMX 0.8H, with the gcc 2.5.8 update. Maybe I’ll put this all on sourceforge so people don’t have to deal with my crappy download system, but for now it’s on my site. I’ve only tested it with MS-DOS, and PDOS. I’m also using the ancient binutils from my GCC 1.40 on Windows experiment. So what this means is that now you can make fully standalone Win32/Win64 executables out of CLI based MS-DOS applications. I’ve had one issue with Turbo C++ 3.00 and that is the embedded executable will run out of memory while linking, but invoking it by calling msdos.exe let’s it run fine. If you compile and link separately it’ll run just fine. I needed to get some business cards, and the usual thing is to use QR codes that have a tiny URL name, that then redirect to your real web site. Easy, right? Well most people use ‘public’ servers like bit.ly & friends. In china many people I do business with use 1688.com . But this got me thinking, 1688 is a FOUR letter domain, unlike any of the three letter ones that seem to be more common. I know all the one, two and three letter domains are all gone, but are there any four letter domains? Turns, out YES there are. And I was able to hammer though their UI, and find one, and register it with my usual registrar. *This isn’t an AD, I’m not being paid to say any of this. I was more so surprised that I could not only find a four letter domain, but it’s the initials of my wife’s business. The best part is that I could use YOURLS, a free PHP+Mysql app to quickly and easily manage the redirects. Well ChicagoVPS was bought out, and then they kind of downgraded me from a Xeon to an Atom.. And now they are creeping up the rates. So I saw a special on lowendbox.com for Joe’s Datacentre. I’ll be moving onto a dual proc Xeon L5420 CPU. Maybe not the highest end of boxes, but better than some atom. I don’t think it’ll mean anything for anyone, other than a blip of an outage when I shut down KVM, and transfer over the blog VM, and update DNS. I’ve already moved over my BBS and it’s running just fine. Not that it matters but I moved out the ‘vpsland‘ share to another low end cheapo dedicated box at Joe’s for well over a month now, making my decision to move justified. The new hosting is in Kansas City MO, which is still geographically central in the United States of America. Id love to host it in Hong Kong, but I’ve only received absolutely insane prices out here.  And even though I do have a commercial grade internet connection, getting more IP addresses has been an impossibility. Oh well, it’s just me rambling. Author neozeedPosted on July 28, 2016 Categories random updates1 Comment on Moving hosts again! documentation, timing issues, feature not implemented etc. And now it runs on Windows 10 (probably lots of Windows NT as well) thanks to EMX+RSXNT. I put a Windows binary build on sourceforge, with the needed termcap and rsxnt.dll to run. It works best if installed into the root of a drive, but it doesn’t matter which drive letter (I suppose you could even use subst). 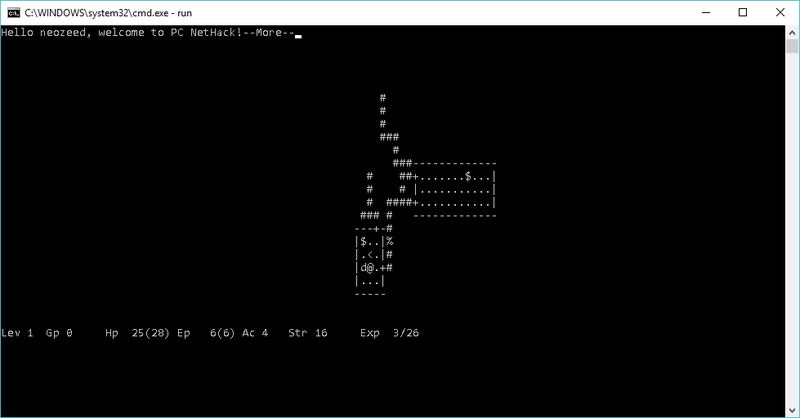 I was patching around the stock NetHack 1.3d, but considering the weird issues I was having with it ‘mostly’ working, it was easier to just lean on the NetHack 1.3d revived project. I should also say this is what I also used to get NetHack 1.3d running on the x68000. I’ve been able to save, restore and go up, down and even die without it crashing so it seems OK to me. It’s kind of cool to build it with GCC 1.40 on Windows 10, and get a native executable. 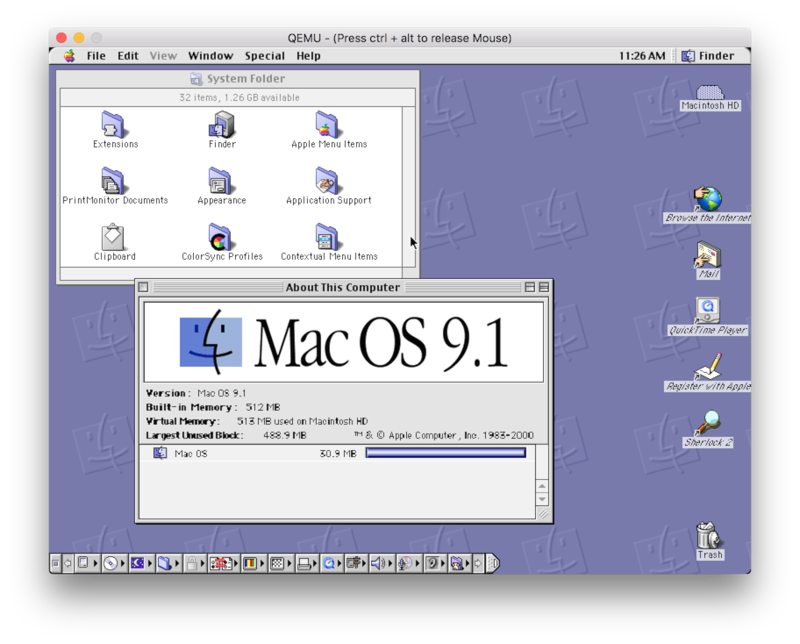 Maybe pointless in the golden age of emulation / virtualization as you could just as easily build stock 1.3d on a 4.2 BSD VAX, or even 386BSD 0.1 system. It includes a USB controller, HDMI, and you have to bring your own USB +5v power supply. It’ll come with 30 pack in games, but no mention of any additional games. The only thing that stuck out to me is that Mike Tyson’s Punch-Out! !, is reverted back to the original Japanese Mr Dream. Kind of lame, but I guess that is licensing for you. There is more information at the Nintendo page, with a shipping date of November 11th, 2016 for the UK. I suppose I should have managed it better. I don’t even know what is there, but I shelled out the $18 HKD to at least keep it for now. I know Microsoft has long dreamed of being SaaS, instead of being a traditional software vendor. Is there hope for buy it and own it software as we approach 2020’s? 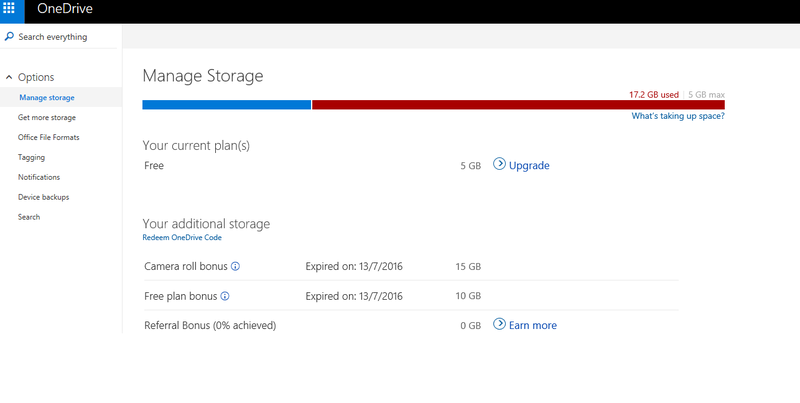 Either way, if you have onedrive, migrate, fix it, or pay for it.